Elliot Rosenberg is an American who lived, worked, and traveled in Latin America before moving to Rio de Janeiro to start Favela Experience. Elliot graduated with a B.S. in Commerce and a second major in Latin American Studies from the University of Virginia and holds a certificate in Social Enterprise and Impact Investing from the Monterey Institute for International Studies’ Frontier Market Scouts program. Previously he was the president of SEED, a student-run consultancy with 75 consultants serving social enterprises worldwide; he also worked in Brazil on behalf of impact investment fund Village Capital at the ed-tech startup QMágico. Favela Experience offers authentic room and apartment rentals to travelers in Rio’s safe and vibrant favela communities. The social venture generates sustainable income for favela host families while breaking negative stereotypes about favelas. Favela Experience is currently selling affordable accommodations for the World Cup through a crowdfunding campaign. The campaign proceeds will fund the expansion of housing capacity and furnishing of homes for the World Cup. Allison Konkel: Why did you decide to start Favela Experience? Elliot Rosenberg: I’ve lived in various homestays in Latin America for a year total, and I know they are the best way to understand a new culture. 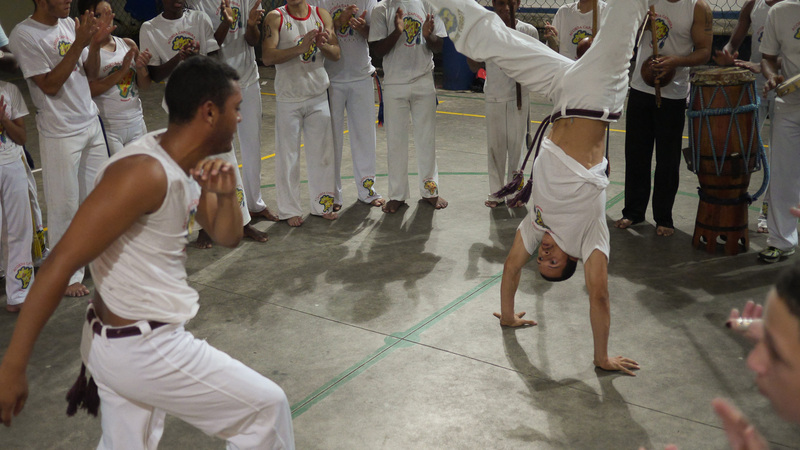 When I first visited Rio’s favelas, I was overwhelmed by the exciting culture and hospitable people. I knew I had to open these communities to the world in an immersive way that contributes to local development. I tested the concept for Favela Experience in my last year at the University of Virginia and ran operations remotely. Soon enough, I recognized immediate demand from travelers, particularly for the 2014 FIFA World Cup. I realized I wouldn’t be fulfilled as a consultant or a banker, so I decided I’d move to the city I loved to run the business full-time. AK: How would you respond to someone who defined your business “poverty tourism”? ER: We promote meaningful interaction exchange between hosts and guests–together hosts and guests cook and share meals, go to the beach, watch soccer matches, and experience Rio’s nightlife. In no way do we exoticize poverty, but instead we sell our experience on the basis of the vibrance of favela culture and hospitality of favela people. Our hosts benefit from a dignified exchange between equals and aren’t at all objectified in the way “poverty safari tours” present favelas to tourists. AK: How do you find homestay families, and how do they benefit from the business? ER: At this point, we find most of our families through personal connections and other homestay families. Word of mouth is prevalent here since people live in such close physical proximity to each other. While we use Airbnb as a transaction platform and sales channel, we add greater value to hosts than simply serving as an intermediary between them and guests. Favela residents don’t succeed as Airbnb hosts on their own because they lack online marketing ability, trust in strangers, and foreign language ability. Our trusted brand and the fact that we’re foreigners drive more bookings and lead to better guest and host experiences. Our host families earn around 75% of booking revenues, which can be significant when the minimum wage* is around $350 US dollars per month in Rio, one of the world’s top 20 most expensive cities. For example, during the month of the World Cup, we will earn some hosts nearly a year’s-worth of income. Since Rio is a top a travel destination, we’re able to generate sustainable income for hosts year-round. Even outside of peak tourism season, we have exchange students, volunteers, and researchers who stay with our hosts. Beyond that, hosts benefit from exposure to world cultures and from English-language practice with native speakers. Though hard to measure, favela residents also gain self-esteem when they notice foreigners appreciating their culture, which is so excluded in Brazilian society. AK: How many host families/travelers have worked through Favela Experience? ER: Ten hosts and over 100 travelers, many of whom stay for months at a time, have benefited from Favela Experience. AK: The apartments you’re renting out are pretty nice relative to some others in the favelas. Do you ever think about expanding to more impoverished homes? Is that something you would consider? ER: It’s definitely something we want to help with in the future, but our priority is boosting sales so we can expand our reach. 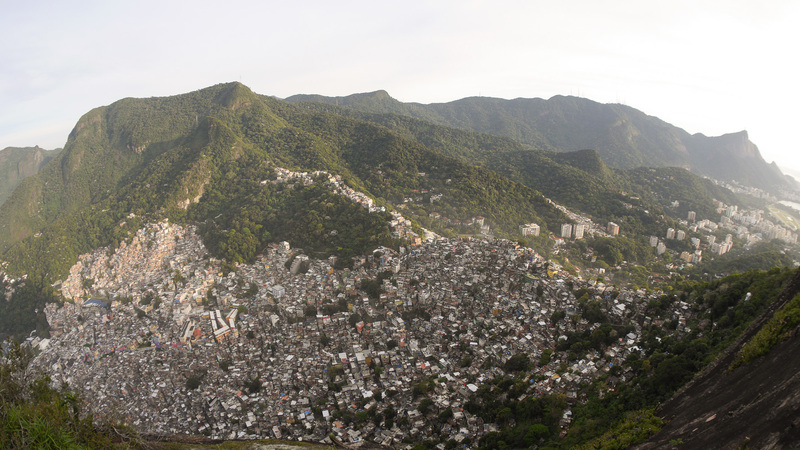 About a quarter of Rio’s population lives in favelas. We want to make sure that we’re meeting the needs of tourists and building the company in a sustainable way. We may not be able to reach the poorest of the poor right now, but we we’re still impacting marginalized favela residents. For now, we consider that a success. AK: It seems like this business could be both scalable and quite profitable. How do you think about the role of profits in social enterprise? ER: Social enterprises should aim to be wildly profitable, in order to have the most social impact. Profitable businesses get the best talent, they garner the most investment, and they expand. If people can improve the world and become incredibly wealthy at the same time, why shouldn’t they? It’s a destructive cultural norm that we censure social change agents who make a lot of money; it’s backward how we accept that the people who most harm society and the environment have the highest salaries. If we can reverse that mindset, we’ll see a radical shift in capital toward ventures addressing the world’s most pressing problems. AK: What’s next for Favela Experience? ER: The big opportunities for us are the World Cup and the Olympics. There’ll be a massive influx of people and not enough affordable accommodations in Rio, let alone immersive travel opportunities. We’re focused on those events for now. Beyond Brazil, our mission is to make travel more immersive for travelers and more beneficial for developing communities everywhere. What form that’ll take, we don’t know, but we’re excited to learn from our mistakes along the way. Allison Konkel is currently a business analyst at McKinsey & Company where she has worked with clients in the U.S., Latin America, Europe, and Asia. The views expressed are her own. * In this context, minimum wage is a per worker measure, which is 675 reais per month.